A comprehensive system for upgrading flat panelled doors to fire-rated doors. 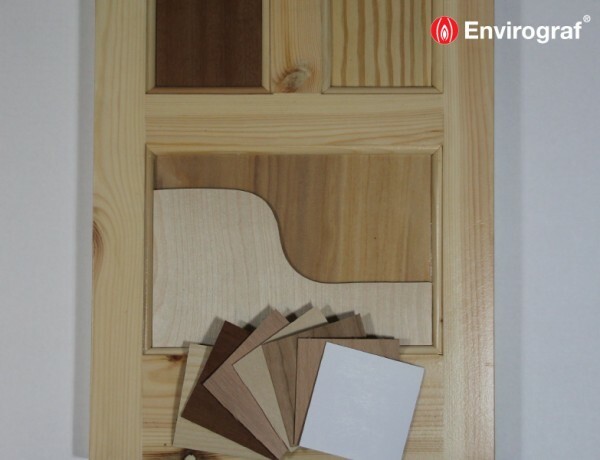 Consists of intumescent cloth with 1mm thick fireproof card face and contact adhesive, designed to be use in conjunction with Product 42 intumescent paint for timber. Because our upgrade kits must be applied in a specific way in order to achieve the specified fire ratings, we advise using the downloads available on the right-hand side of the page. Here, in-depth Application Instructions for the range can be found, arranged by individual coating, primer or top coat. 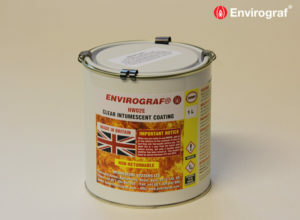 The Technical Overviews summarise the recommended usage of the coatings, including spreading rate and drying times. COSHH data is also available to download. For making new panelled doors. “Fire door – Keep Shut” self-adhesive label for the door (each). The intumescent card, ply & veneer have all been fully tested to BS476 Part 22 (1987) on newly-manufactured and old doors at UKAS-approved test centres. Achieved in excess of 30 minutes of fire resistance on softwood doors made from 31mm stiles and rails with 6mm panels. For 60 minutes protection, the thickness of the door should be 44mm minimum. Tested at VNE to European Standard EN 1363-1 (2000).